We have contacted Giampaolo Lo Conte, a successful Italian entrepreneur and international trader, and met him at the return of the annual edition of the Qatar Prix of the Arc de Triomphe, held in Paris on the first weekend of October. We have contacted Giampaolo Lo Conte, a successful Italian entrepreneur and international trader, who lives between Italy and abroad. There are a lot of publications about him, coming from press releases, that have been posted on the web. From these publications it is understood that Lo Conte is a character who is very attentive to the themes of the global economy, and he is a frequent visitor of Forums and Conventions, where the most important economic and financial representatives in the world participate. He’s had the pleasure to know some of the most important figures in the landscape of high finance, and through his studies – which are based in Rome, London and New York – it is possible to discover publications and interesting press releases. For example, at the latest edition of the World Economic Forum in Davos, Switzerland, Giampaolo Lo Conte focused on Italian Minister of Economy Piercarlo Padoan’s intervention, and he expressed his opinion about the leadership on the globalization systems. “I think it like Christine Lagarde, General Manager of the International Monetary Fund – Giampaolo Lo Conte reported on online interview – she thinks that tax reforms can not be enforced with violence, but it is necessary to have a sustainable and procedural application so that economic structures do not crawl” and to reduce “political and social inequality. I don’t think that the policy is totally ready for tax reforms”. A theme – ‘social and economic’ – very similar to the interdisciplinary approaches that Giampaolo Lo Conte has adopted in multiple locations, especially on the journalism. Business and worldly, than anyone could imagine, are two factors taken into account, during an interview with Lo Conte: “In these contexts (referring to the 2015 edition of Royal Ascot, ndr) I breathe a business air, in particular the import-export opportunities at this historic moment are great”. Yes, because it is in these “worldly” contexts that international traders can have a better place in the global economy. It’s hard to be global metronomy by simply reading newspapers and stock indexes. It’s important to take part in environments, lounges, locations, where economic and political orientations find new meeting points in the “business international”. The latest edition of Royal Ascot opened on 20 June 2017: Queen Elizabeth has kicked off the British Horse Racing season, welcoming so many protagonists and jockeys in the race. In the stands, the scene has been stolen – as usual – by the glamorous hats and the many trends of tailor-made elegance, that make the Royal Ascot five days of “glamorous English”. For jockeys the jackpot was £ 5.5 million; in June was Barney Roy to win the races, but in the recent weeks, the champion has been defeated several times during the British Champions Day. 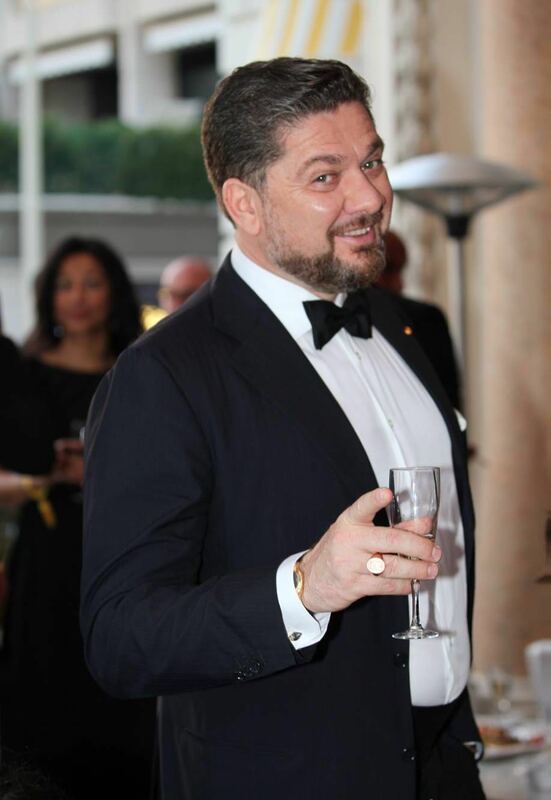 “I’ve been to the Royal Ascot for years, I’m often in Great Britain and I’m not likely to miss such an event like this” – says Giampaolo Lo Conte, who in his interview, continues to talk about his presence during these great world events. “A few weeks ago I was also at the Qatar Prix de l’Arc de Triomphe, which takes place in Paris, on the first weekend of October. This year there was a runner who went very close to Bobby Frankel’s record, who had won 25 races in just one season. I know that Enable (Nathaniel) champion of Khalid Abdullah was the strongest and showed it with all her class. Qatar Prix de l’Arc de Triomphe is a prestigious race sponsored by Qatar Petroleum, and one of the most important horse-events in the world. It hosts more than 50,000 viewers every year and, unlike the Royal Ascot, is a more competitive and less glamorous race. “In Paris – continues Giampaolo Lo Conte in our interview – it runs on the Chantilly racecourse, 2,400 meters long, and is therefore for the famous galloping test. Physics, preparation and rankings are very important. At the “business international” level, the city of Paris is fascinated by the great sponsorships coming from Qatar, as is already the case with football, with the local team of Paris Saint Germain. However, I think there aren’t significant differences between the English capital and the French capital: London and Paris, such as Milan, New York and many others Western metropolises, have important opportunities for business people like me, regardless of who sponsors the jockey race or the local football team”. And who, in addition to the prestige horse racing, also follows football, knows that sports competitions in big cities are financed by large foreign investors: the russians in London, the chinese in Milan, the arabs in Paris, and so on. But, is it good for the local economy? “Absolutely yes – Giampaolo Lo Conte concludes – ‘AC Milan’ and ‘Inter Football’ clubs, have attracted chinese investors in the city of Milan who are now also investing in other areas of the city, such as construction and renewable energy. One can not think of attending some “business international” environments, ignoring what happens in big cities, especially European ones, where in the last few years the biggest investors of the world have shifted their capital to the benefit of local economies”.